Ref: 64/2019: Date: 24 April 2019: Time: 11:20 GMT: The Palestinian Center for Human Rights (PCHR) strongly condemns that the Israeli authorities stationed at Beit Hanoun “Erez” Crossing arrested a patient’s companion, from the Gaza Strip, while returning to the Gaza Strip. According to PCHR’s investigations, at approximately 12:00 on Tuesday, 23 April 2019, the Israeli authorities arrested Karam Mustafa Mohammed Tantawi (51), from al-Qal’a buildings, south of Khan Younis. Karam, who was accompanying his wife Safa’ ‘Abed al-Majeed Tantawi (47), a cancer patient, was arrested while returning to the Gaza Strip after his wife received treatment at al-Makassed Hospital in Jerusalem. 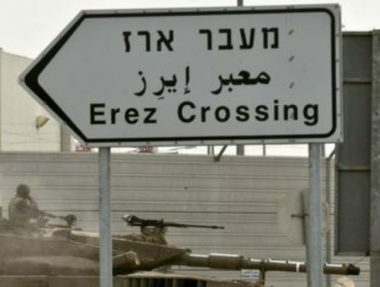 Safa’ said to PCHR’s fieldworker that on 01 April 2019, she left the Gaza Strip along with her husband to al-Makassed Hospital in Jerusalem through Beit Hanoun “Erez” Crossing. She added that she received treatment for 20 days and while she was returning to the Gaza Strip along with her husband, the Israeli authorities arrested him. She clarified that after around 15 minutes, Israeli soldiers ordered her to leave alone to the Gaza Strip, but she refused and waited until 18:00. After that, the Palestinian Civil Liaison informed her that she should return to the Gaza Strip because her husband was arrested. 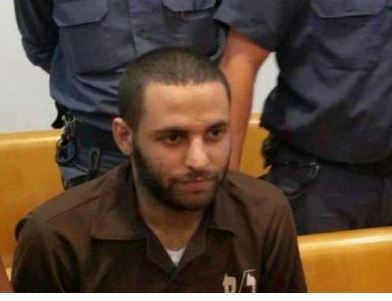 It should be noted that the PCHR’s lawyer, in his capacity as the legal agent for al-Tantawi, was prevented today from visiting him in al- Majdal Prison. The court extended his arrest until next Tuesday, 30 April 2019. PCHR stresses that the ongoing Israeli forces policy of arresting patients and their companions is considered as violation of the international human rights law and the international humanitarian law. It also constitutes a form of inhuman and degrading punishment, which coincides with the policy of tightening the illegal closure imposed on the Gaza Strip. This aggravates the patients’ suffering as their treatment is not available in the Gaza Strip hospitals. Strongly condemns the arrest of Palestinian patients and their companions during their travel to receive treatment by the Israeli authorities. PCHR also calls for their immediate release and ensuring not to put their lives in danger. Calls upon the international community, including the High Contracting Parties to the Fourth Geneva Convention, to fulfill their obligations and assume their responsibilities and intervene to put an end to the Israeli forces’ violations to the international humanitarian law against Palestinians. The Palestinian Detainees’ Committee has reported, Wednesday, that Israeli soldiers repeatedly assaulted three children while abducting then and subjected them to torture during interrogation. The Committee stated that the soldiers abducted Bara’ Yousef, 16, from Hijja town, near the northern West Bank city of Qalqilia, after storming his family’s home late at night, and ransacking it, causing serious property damage. It added that the soldiers then dragged Bara’ to their jeep, and while transferring him to the al-Jalama interrogation center, they constantly kicked and punched him. The child was then interrogated for several hours and was forced to stand against the wall for a long period. He spent a total of fifteen days in solitary confinement before he was moved to Majeddo prison. The soldiers also assaulted Omar Salim, 17, after storming his home in Azzoun town, east of Qalqilia, and dragged him out of the property while kicking and beating him, and once they placed him in their jeep, the soldiers repeatedly stomped him with their heavy military boots. The Committee stated that the soldiers moved Salim to their base in Karnei Shomron illegal colony, where he was strip-searched him, and held for several hours in a container while his hands and feet where bound. He was later moved to the police station in Tzofim illegal colony, where he was interrogated, and was then moved to Majeddo prison. 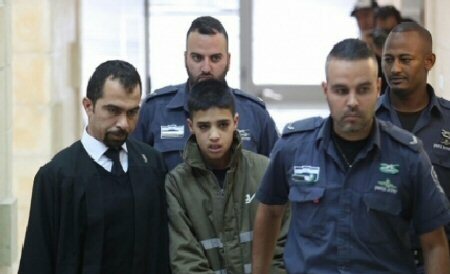 Furthermore, the soldiers abducted Abdullah Mansour, 15, from his home in Jenin refugee camp, in the northern West Bank city of Jenin, after they smashed the door of the property and stormed it while shouting at him and the family, and dragged him outside before cuffing and blindfolding him. The soldiers continued to assault the child in their military base, and held him in a container for several hours, before transferring him to Majeddo prison. The Israeli violations against the Palestinian detainees, including detained children, are direct violations of International Law and several articles of the Fourth Geneva Convention, in addition to various human rights agreements on the protection of civilians, especially the children. The Palestinian Commission for Detainees’ Affairs has reported, Tuesday, that a Palestinian detainee, identified as Mohammad Yousef Shinnawi, 23, from Haifa, has been held by Israel in solitary confinement since March of 2017. The detainee was abducted in January of 2017 and was sentenced, in October of 2018, to a life term and twenty years in prison, after the court convicted him of killing one Israeli and wounding another in two separate incidents, in Haifa. Only two months after his arrest, the detainee received a solitary confinement order for six months, but the order has since been constantly renewed. The current solitary confinement order against him is set to expire in September of this year and will likely be renewed yet again. 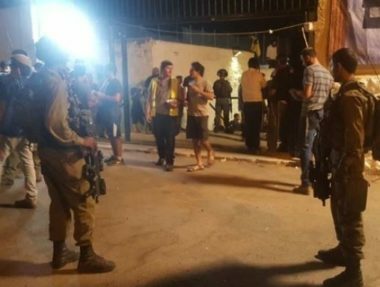 Israeli soldiers invaded, on Wednesday at dawn, the eastern area of Nablus city, after accompanying dozens of illegal colonialist settlers into Joseph’s Tomb, and fired at Palestinian protesters, wounding at least 27, including a new born baby. The Palestinian Red Crescent Society (PRCS) in Nablus said its medics provided treatment to seven Palestinians, who were shot with rubber-coated steel bullets, including two who were shot in the head, before they were rushed to Rafidia governmental hospital. It also said that at least fourteen Palestinian, including baby, only two months of age, suffered the effects of teargas inhalation, when the army fire a barrage of gas bombs at protesters, as well as several surrounding home. The baby was rushed to Rafidia hospital after asphyxiating due to gas inhalation, and was instantly provided with the urgently needed medical attention. Many Palestinians suffered various cuts and bruises, and received the needed treatment. The WAFA Palestinian News Agency said at least 15000 colonialist settlers, accompanied by members of Knesset of the Likud Party of Prime Minister Benjamin Netanyahu, participated in the invasion, including Yossi Dagan, the head of “Settlements Council” in northern West Bank. It is worth mentioning that the Palestinians believe Joseph’s Tomb to be the funerary monument to Sheikh Yousef Dweikat, a local religious figure. Others believe that the tomb belongs to the Biblical patriarch Joseph revered by Jews, Samaritans, Christians and Muslims alike. A young Palestinian man died Tuesday morning, in the Arab town of Arrabat al-Bottuf, in northern Israel, after the Israeli police chased him, Palestinian sources have reported. Mohammad Majd Kamil, 22, from the town of Qabatia, south of the northern West Bank city of Jenin, was pronounced dead after falling from a considerable height while Israeli police officers were chasing him. The young man worked in Israel, as a laborer, and apparently did not carry a work or entry permit. According to WAFA News, hundreds of Palestinians work illegally in Israel, until Israeli police chase, detain and deport them back to the occupied West Bank. Palestinians in the occupied West Bank face an unemployment rate of 18-19% according to the World Bank, while in Israel, more jobs are available, with better wages. Days Of Palestine [ Salfit ] – The Israeli occupation forces (IOF) on Wednesday morning detonated the family house of martyr Omar Abul Laila in az-Zawiya town, west of Salfit, causing widespread damage to nearby homes. According to local sources, Israeli troops and two military bulldozers stormed az-Zawiya town at 10:30 pm on Tuesday, spread through its streets and announced the town a closed military zone. Then, soldiers stormed the house of martyr Abu Laila and embarked on destroying parts of its interior walls and placed explosives inside them before blowing it up at six o’clock on Wednesday morning. The IOF also forced dozens of citizens along with children and women to leave nearby homes and fired volleys of stun and tear gas grenades at angry citizens and journalists as they were documenting the events in the town. Eyewitnesses affirmed that about 50 families were forced to stay outdoors during the demolition and detonation of the house. Meanwhile, violent clashes broke out between the IOF and local young men and lasted for over seven hours. 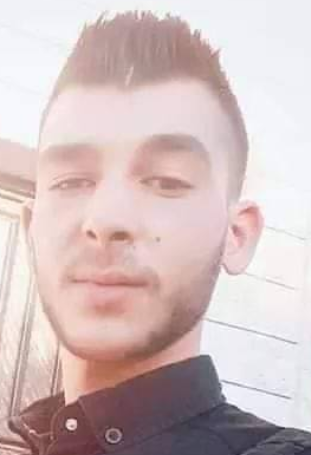 On March 17, 2019, martyr Abu Laila managed to shot dead two Israeli settlers, including a soldier, on a road near an illegal settlement in the occupied West Bank. Days Of Palestine [ Occupied Juersalem ] – Hordes of Israeli settlers on Wednesday broke into al-Aqsa Mosque in Occupied Jerusalem amid heavy presence of police officers. The Islamic Awqaf said that 276 settlers stormed al-Aqsa Mosque compound and carried out provocative tours on the fourth day of Passover holiday. Meanwhile, the Israeli police have tightened the restrictions imposed on the Old City of Jerusalem in general and the Muslim worshipers entering al-Aqsa Mosque in particular. Israeli settlers carry out daily break-ins into al-Aqsa Mosque, except on Fridays and Saturdays, in two rounds: one in the morning and the other in the afternoon. The Israel Defence Forces has opened an investigation into an incident in which its soldiers shot a Palestinian teenager while he was blindfolded and handcuffed. Sixteen-year-old Osama Hajahjeh was shot twice in the leg last Thursday in Tuqu’, south of Bethlehem in the occupied West Bank. Speaking to Agence France Presse (AFP) by phone from a hospital in Beit Jala yesterday, Hajahjeh explained that he had been attending the funeral of a local teacher when “he was tackled by a soldier who jumped out of an olive grove and forced him to the ground.” The soldier then handcuffed Hajahjeh and blindfolded him, Al Jazeera reported. Images of the incident captured by a local photographer clearly show Hajahjeh surrounded by several Israeli soldiers, his hands behind his back and a white cloth tied over his eyes. The aftermath of the event was also caught on video, which shows several Palestinians gathered around the teen – who can just be seen lying bleeding on the ground – and an Israeli soldier pointing a gun at those trying to help, warning them to stay away or “you’ll get shot”. Israeli forces sealed off the Ibrahimi Mosque in front of Muslim worshipers, on Monday, in preparation for Israeli settlers raid for the third day of the Jewish holiday of Passover, Ma’an Agency reports. Israeli forces were heavily deployed around the holy site. The holy site was split into a synagogue — known to Jews as the Cave of Patriarchs — and a mosque after US-born Israeli settler Baruch Goldstein massacred 29 Palestinians inside the mosque in 1994. Since the split, Muslim worshipers have been denied access to the site during Jewish holidays and vice versa in an effort to prevent violence from erupting at the holy site. Located in the centre of Hebron — one of the largest cities in the occupied West Bank — the Old City was also divided into Palestinian and Israeli-controlled areas at the time, known as H1 and H2. The Palestinian Prisoners Center for Studies reported that Israeli military courts have imposed fines, against Palestinian minor detainees, amount to 170.000 NIS during the first quarter of this year. The spokesperson for the center, Reyad Al-Ashqar, said that Israeli courts impose heavy fines on most detained children , in addition to the actual prison terms. He added that the fines constitute a heavy burden on the detainees’ families and an arbitrary punishment exercised, by the courts of occupation, against them, with the aim of terrorizing and preventing them from participating in resistance actions. He explained that the total amount of fines that Ofra prison imposed against child detainees, during the first three months of this year, adds up to 170.000 NIS. Al-Ashqar noted that this policy is a clear and political theft aimed at looting money from the families of the children, in order to pressure and blackmail them. He pointed out, according to Al Ray Palestinian Media Agency, that Israeli military courts impose heavy fines for trivial reasons. Al-Ashqar called on human rights institutions to intervene, in protecting child detainees from Israeli violations.